The Hub Centers for Meeting and Collaboration: What's Fun Got to Do With Meetings and Events? 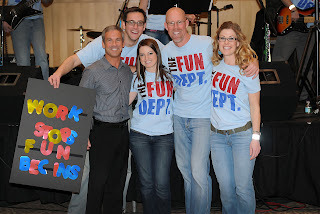 What's Fun Got to Do With Meetings and Events? Everything, it turns out: Fun has the capability to make an ordinary event truly memorable, and even the most densely packed conference schedule feel not just manageable, but almost desirable. We've been working with The Fun Dept., our resident experts in productivity and team-building, to make sure the events that we hold at The Hub are the best they can be: Clients of The Hub can choose from several tailored Fun Dept. deliveries to ensure attendees stay refreshed and happy during any event. We asked Nick Gianoulis, co-founder of The Fun Dept., for his take on the events industry. Read on for some surprising insights, and some answers you can put to work for your event today. Q: What's the biggest pitfall in corporate events today? Meetings usually follow a standard format that do not foster a creative and productive environment. There is a sense of cramming in content without regards to the dynamic and needs of the participants. In the end, they are boring, not productive, and not memorable. Q: How can event planners avoid these pitfalls? Start with the desired outcome of the meeting or organizational event and build activities to support it, while providing the necessary breaks and encouraging collaborative and interactive environment. Q: How important is physical activity when it comes to all-day or multiple-day events? Do you have any tips for event planners on encouraging physical movement in venues or conferences that don't lend themselves to such activity? The average adult attention span is 10 minutes, so it is important to create an environment that allows people to be engaged and interact during meetings. We use laughter as a form of exercise and movement. Our deliveries are designed to be all inclusive and non-threatening so that everyone can participate. Mild, physical challenges with some competition is the format we find to be most successful. Q: At a conference or event, many people expect to behave like professionals. What role does fun have in such an environment? How can it help professionals to be more professional? It is very possible to be professional while having fun! 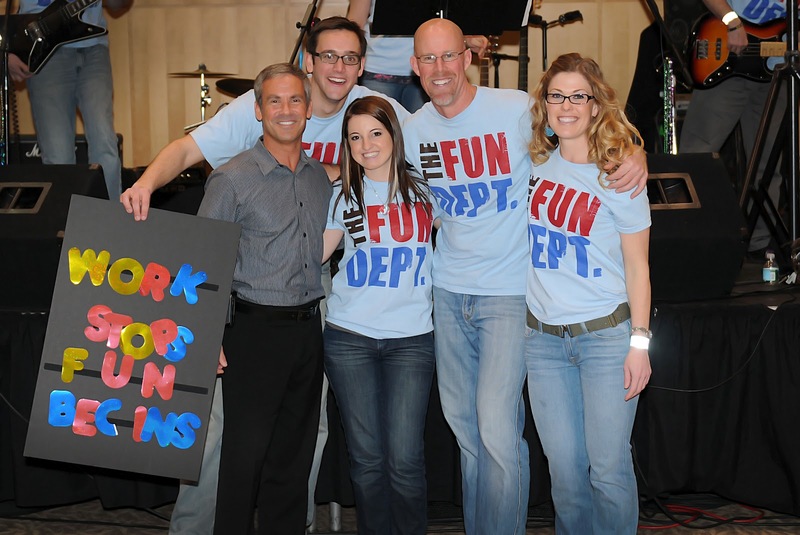 Fun flattens out an organization and leadership buy-in is a critical fundamental that contributes to the success of our deliveries. It helps professionals be more human, and therefore connect to other members in an organization, leading to higher productivity and engagement in the workplace. So there you have it. Before you're stumped for a true team-building activity, or before you notice your conference attendees looking a little flat, remind yourself that everything, even work, is better when it's fun. You can reach The Hub branch of The Fun Dept. by calling Kaitlin Wolfert at (267) 519 5272.